We’re just about to start a new load of decoration work in the flat and after the fun of designing and building a kitchen from scratch last year I decided to breath life into a little idea I had for the bathroom floor before the team arrives to do the main job. 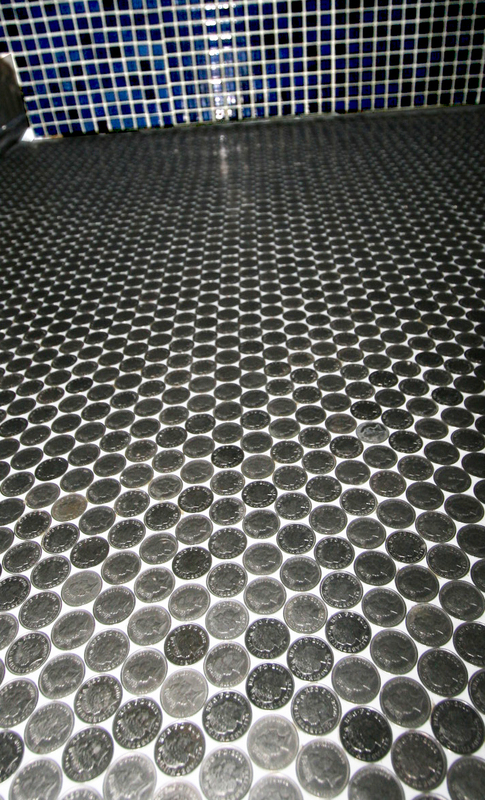 My 10p floor is made up of 3300 ten pence coins glued with Queen facing right to a floor I levelled, grouted and sealed myself. Four long days of back breaking work but as with all creative works the appropriate amount of effort always yields the right reward. As our small bathroom floor will if a burglar ever calls with a pickaxe! Looking forward to seeing Boys face when he returns from his week away. Thats your inheritance i’ll tell him! Waltons – Evidence of Time Travel? Waltons – John Boy with Blackberry? 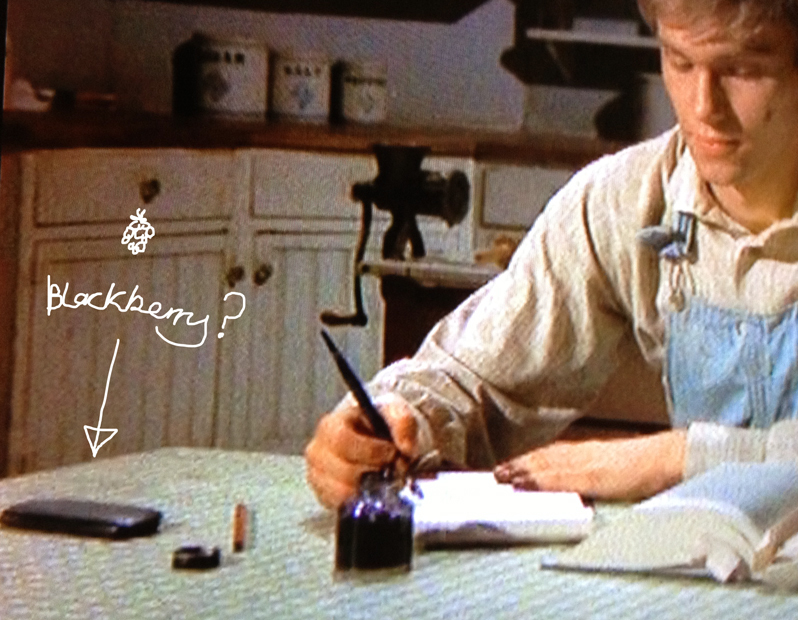 We uncovered the strongest evidence of Time Travel yesterday when we spotted what seemed to be a Blackberry mobile phone on the kitchen table of the house at Waltons mountain. Boy thinks that Dr Who could be responsible. When Wife gets it in her mind she wants to do something unless you have jewellery in your hand its hard to deflect her onto something else. The other day she woke and said “Tower of London” my heart sank. 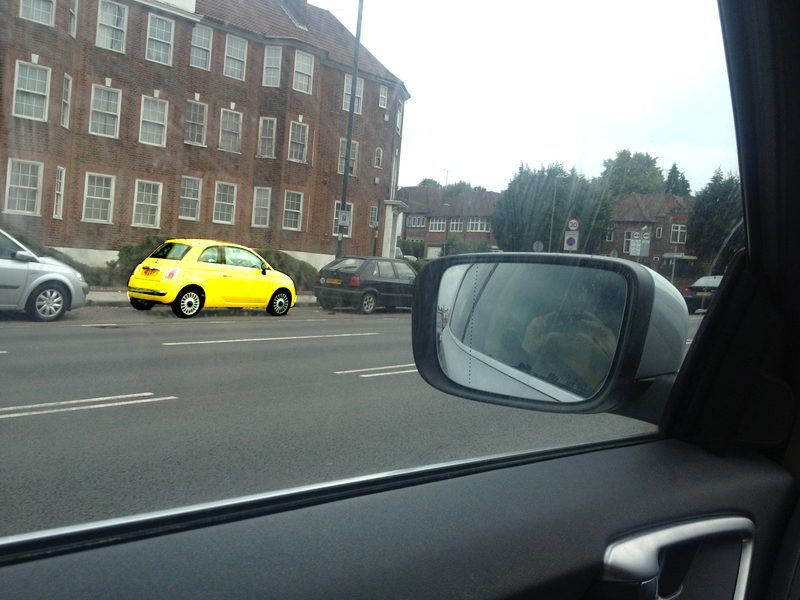 It’s hot, it’sthe middle of the school holidays, the city’s heaving with tourists. 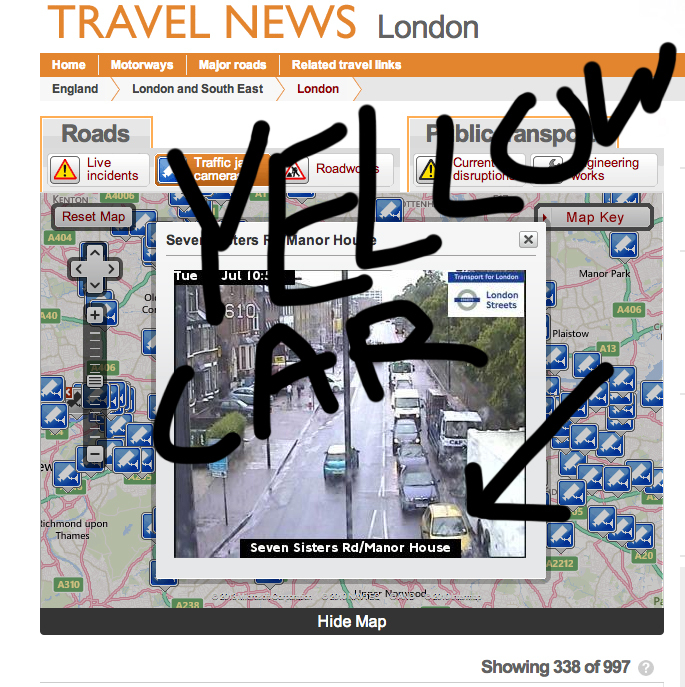 This is not a time to go to any of the main city attractions. This is a time to hang out with friends, read papers and throw the occasional cup of ice cold water at Boy. We go to the Tower of London and I know exactly what we will be doing: Queueing! The first queue 20 mins to get the tickets. 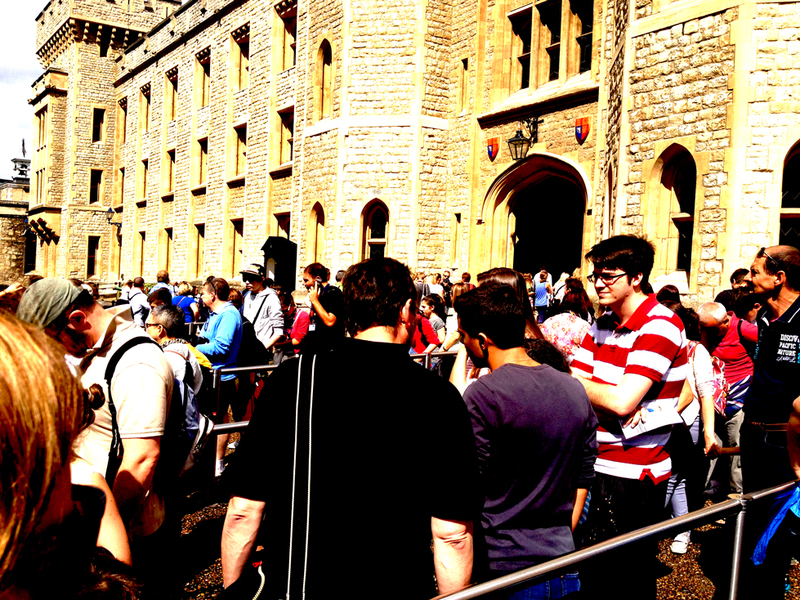 The second queue 30 mins to see the crown jewels. The third queue 20 mins in the White Tower to see the armour. The forth queue 1 min for a coffee. Do the math and you find that in the tower of london we spend 47.33% of our time in queue vs. only 3.33 of our time at Disney. You’ll be 44% happier if we just go to Disney. I’ve got the figures to back it up! I thought it was odd a couple of days ago when Mate texted “Could I bring Mango over to you for a couple of weeks?” Thinking friend drunk I gaily replied “Cool always love a Mango!”. Yesterday Mango came. Turns out Mango is a Hampster which I’d inadvertently agreed to look after while Mate and family topped up their tans at some glamorous location. Me: Conducting a room by room search. Moving large items of furniture while thinking about how I break the news to Mates little ones that we’ve lost their little loved one. Boy however came up trumps. Standing still in the middle of his bedroom listening he detected Mango behind his dressing up chest. This moved revealed the little golden one sitting on top of a discarded chess board with a look on his face which read: “Rumbled“. 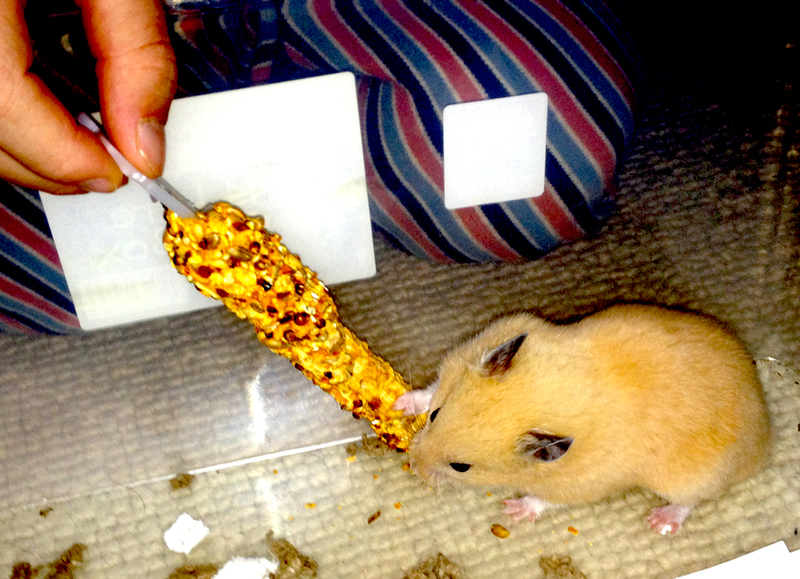 Boy promtly rewarded mango with a snack of his favourite food. A stern lecture followed about responsibility followed by my writing of this post as a warning to friends: DON’T TRUST US WITH MANGO! 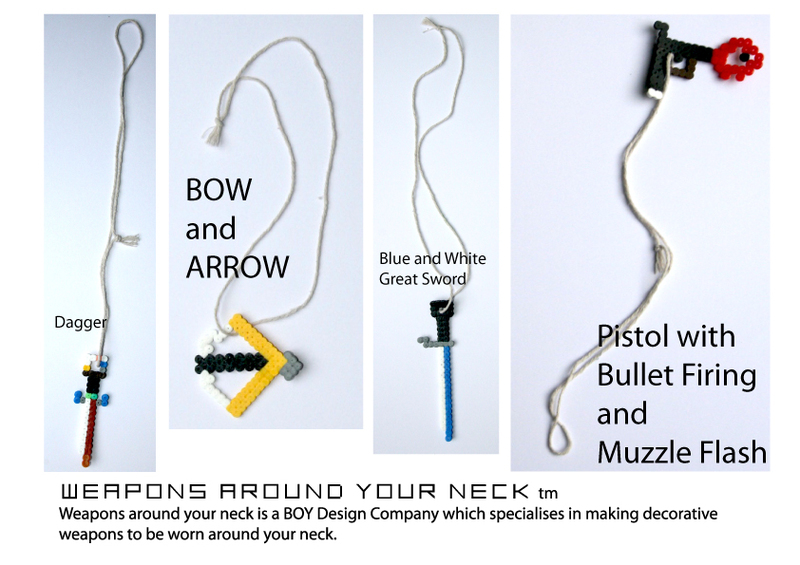 Introducing Weapons Around your neck. 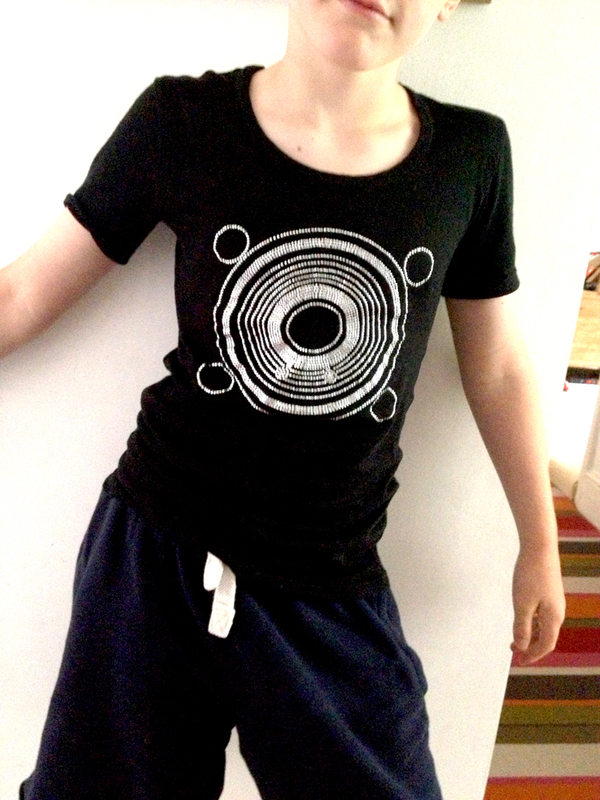 A new idea in wearable weapons for boys from Boy. Each comes in a limited edition of 2. They feature weapons designed and constructed in Boys North London artisan studio hand strung with standard white string and knotted using the unpaid slave labour of dad. To place your order please send an eMail and we will send a PayPal Invoice. No bunny rabbits or other fluffy animals were harmed in the making of these weapons. Always use WEAPONS ROUND YOUR NECK responsibly.